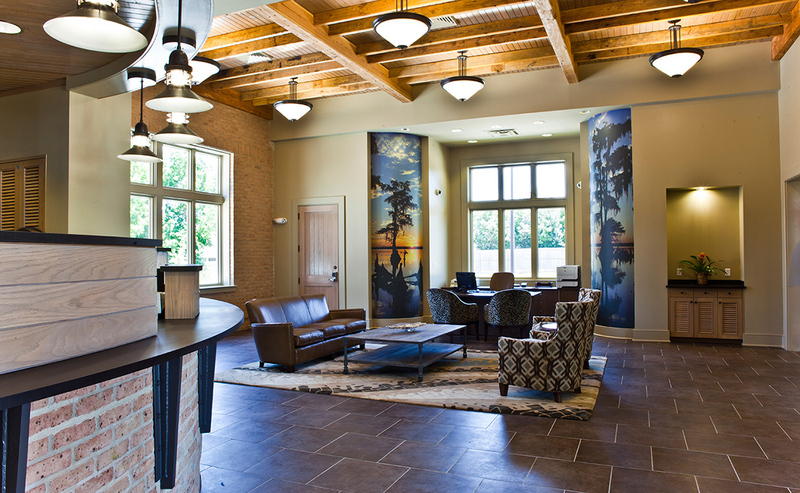 Completed 2011 | 3,500 sq. ft. 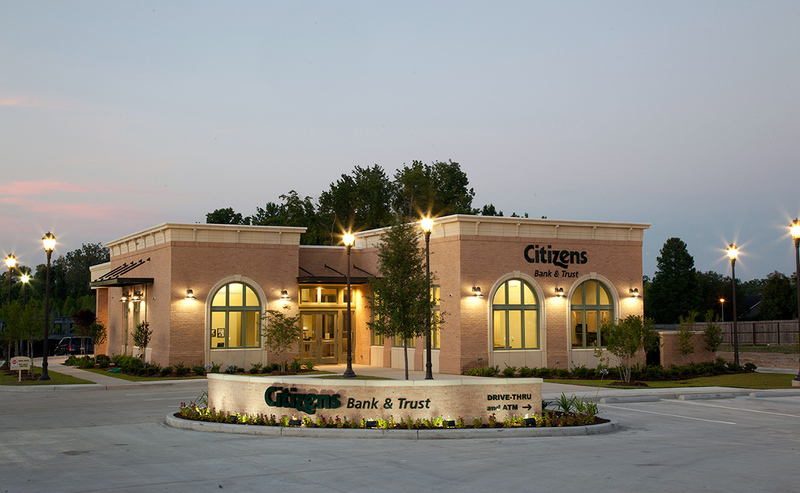 The Citizens Bank branch at Perkins Rowe was designed as a prototype for future branch expansion. 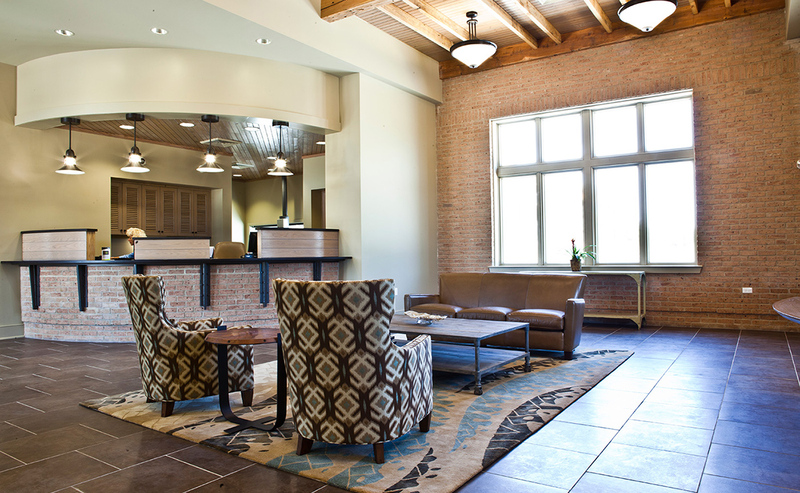 The exterior of the building consists of St. Joe brick and pre-cast panels while the interior uses the same brick along with re-claimed wood, stained white oak, stone and carpet tile. These materials were selected to give the design a timeless feel that could be replicated across the brand. 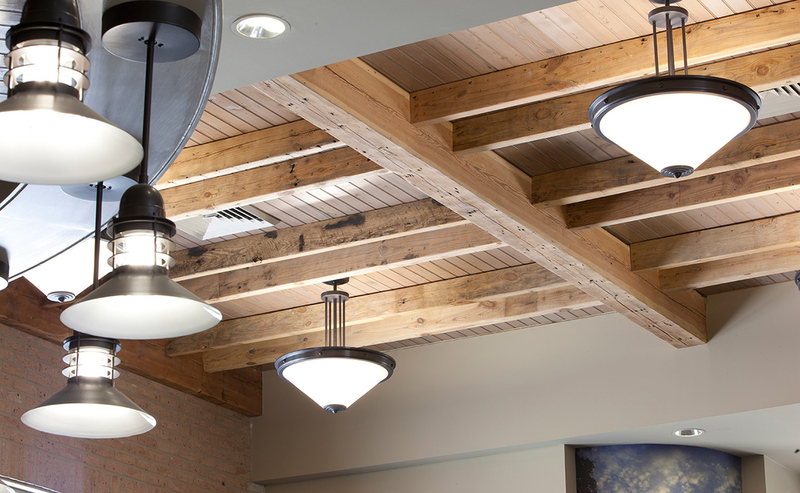 LED lighting, low-water plumbing fixtures, and a highly efficient HVAC system were used throughout the building to achieve LEED certification – the first bank with such designation in Baton Rouge.